SecureCloud provides data protection by encrypting complete disks using the AES-256 cipher. 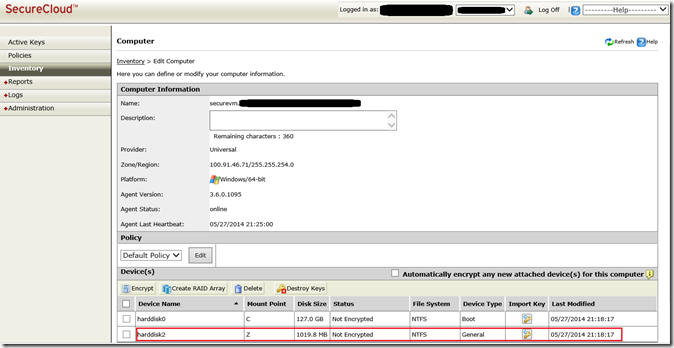 Encryption is managed by a SecureCloud agent that has to be installed into the VM. The agent injects itself into the Guest OS stack below the file system driver, which means the process of encrypting/decrypting data is completely transparent to both the OS and applications on top of it. Now, the most important requirement of many people using the cloud and worrying about their data is keeping encryption keys outside the cloud that’s hosting their data. That means, in case the cloud provider gets compromised an attacker might get hold of the data but not the keys to decrypt it, because they are stored in a completely different place. The KMS_URL is the address of the SecureCloud Management Console, which is acting as a keystore for the encryption keys. Unless an on-premises Management Console is used, this should remain as shown above. 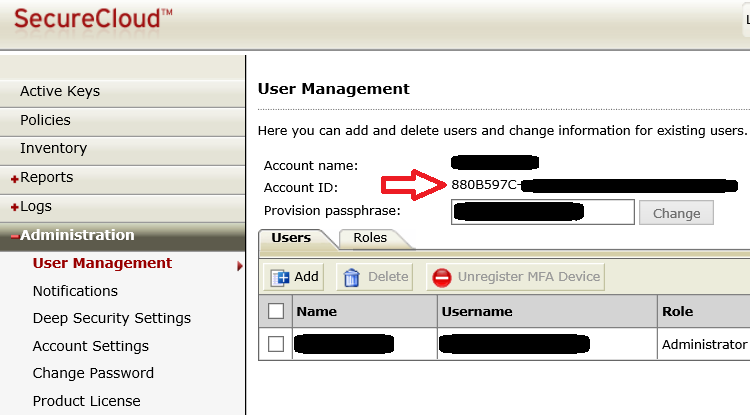 The Account_ID is the identity associated with your account on the SecureCloud Management Console. It can be found in the Administration section under User Management. CSP should be left as Native. For now leave the Policy to default. AUTO_PROVISION must be set to no. 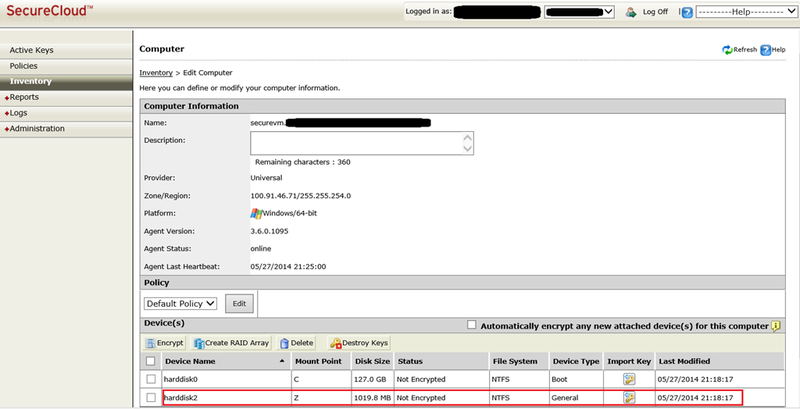 This setting tells the SecureCloud agent to not automatically encrypt all drives in the VM. Now, inside the VM go ahead and download the unattended setup of the SecureCloud agent version 3.6.0 (released on 12/17/2013) from here. You can also check on the Trend Micro Download Center for newer versions. Install the agent from the executable. Note that there’s no UI for the setup and your VM will automatically get restarted after installation has finished. Here you can see details about your machine, including it’s disks. Now, let’s encrypt the disk we attached before, which is shown here as the z: drive. In order to do that, select harddisk2 and click the Encrypt button. In the popup window select Preserve in the Existing Data drop down and click Encrypt. The Computer dialog will show that an encryption process is currently pending. After a while (depending on size & content of your disk) the status of the disk will change to Encrypted. 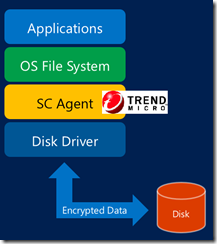 And voilà, now all data on drive z: is protected, with the encryption keys stored outside of Azure in the Trend Micro SaaS solution. In SecureCloud each VM gets a policy assignment, defining how encryption key requests coming from the agent should be responded to. A policy contains a set of rules and actions representing security practices and network configuration. For example, you could restrict approval of key requests for a VM to a dedicated IP address or check for a specific OS version. By default a new VM gets assigned to the standard policy Default Policy as shown above. This policy does not contain any rules or actions, which means that key requests have to be approved manually in the Secure Cloud console. In order to achieve automatic approval, let’s create a new policy and assign it to our VM. Go to the Policies section in the console and click the Add Policy button. Leave defaults in step 3 (i.e. 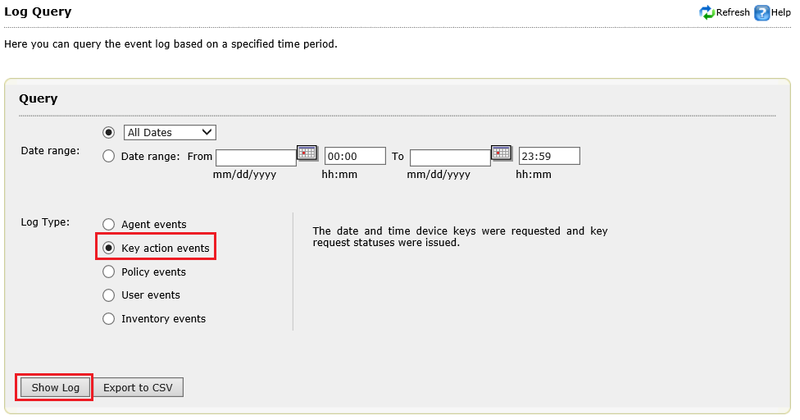 configuring auto-approval) and select your VM in step 4. 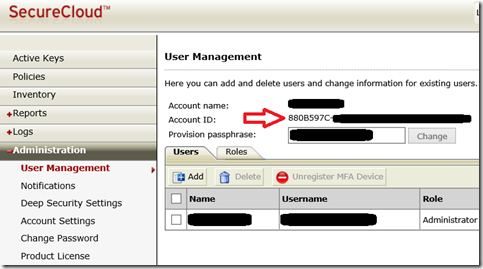 After finalizing the wizard you will have created a new policy and assigned it to your VM with it’s current IP address. Now, restart the VM and check the Active Keys section in the SecureCloud console after the machine has come up. You should see an entry for the key with key status Delivered and integrity Good. The Secure Cloud console provides some logging that’s quite useful in order to see what’s going on. 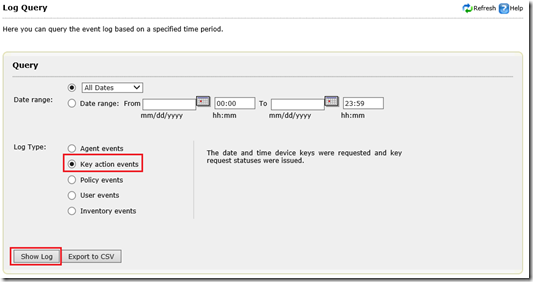 Open the Logs – Query section and execute a query using the key action events log type. 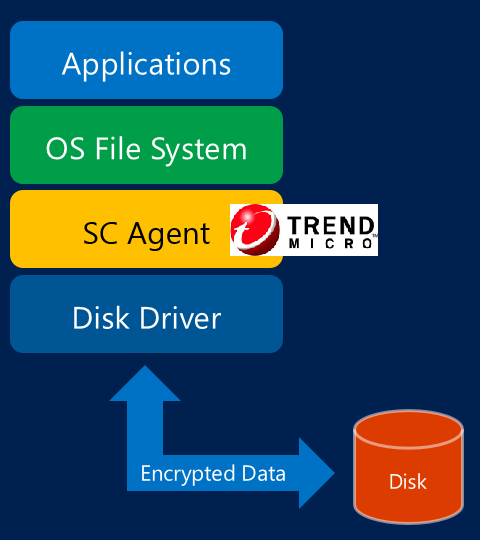 At the time of this writing (shortly after the TechEd conference), Trend Micro alluded to the fact that encryption of the OS disk is currently limited. It will work as long as you don’t reboot the VM, which of course is a showstopper for any serious workload. They claimed it will be fixed ‘a couple of weeks’ after the conference. Anyway, encrypting data disks is working perfectly fine, though. Also, the agent is not build on top of the extension model in Azure, which is the standard way of plugging functionality into VMs. According to Trend Micro, this will change in the near future, too. This entry was posted in Microsoft Azure, Security and tagged Azure, Data Disks, Encryption, IaaS, Microsoft Azure.